Phone reviews are almost always hasty affairs. Typically, journalists get a handset and are given a week to put it through its paces before the embargo lifts, thereby depriving them of the chance to take a more long-term view of the product. That’s not to diminish the hard work of so many mobile journalists. Not for a minute. Many phone reviewers are excruciatingly meticulous with their coverage, and they provide an important service to consumers. The point I’m making is there are so many questions you simply can’t answer in the space of a week. Will this phone receive timely security and software updates? Are there any annoying bugs that might crop up in niche situations? In a few months time, will this phone still be a worthwhile purchase? Which brings us nicely onto the subject of this article: the Honor 10. I like the Honor 10. It’s an excellent phone, and after roughly three months of playing with it, I’m convinced it’s one of the strongest mid-rangers released this year. Not only did it impress upon release, but it’s also stood tall in the months following. That’s despite a flood of compelling devices in the same price bracket. Honor is a sub-brand of Chinese mobile megabrand Huawei. Although Honor operates relatively independently, it’s easy to conflate the two brands into one entity, as both companies share a fair bit, especially in terms of things like software. For example, phones from both Huawei and Honor use the EMUI (formerly Emotion UI) software. The latest generation of the software, called EMUI 8.0, emphasizes AI optimizations, especially when it comes to things like the camera and the user interface. EMUI used to be fairly crap, but to its credit, Huawei has put a lot of effort into making it worthwhile. Today, I’d argue that it’s actually better than the stock Android experience (although that’s a different article entirely). Announced earlier this year in May, the Honor 10 runs Android 8.1 Oreo, paired with EMUI 8.0. Specs-wise, it’s no slouch, and offers all the trimmings you’d expect from an upper-mid-range phone. All things considered, these are fairly worthy specs. Which brings me nicely onto my first point why the Honor 10 is such an endearingly solid phone. Phones are one of those few things in life where we make a long-term commitment. When you get a phone, it’s often with a 24-month contract attached, meaning when you make a choice, you’re stuck with it. Therefore, when you buy a phone, you’ve got to make sure that it’ll stand the test of time. There’s nothing worse than putting down several hundred dollars (or Euros, or whatever your local currency is) for a handset, only for it to be quickly rendered obsolete. I’ve no such concerns for the Honor 10. For starters, it compares favorably with the flagship Huawei P20, which is significantly more expensive than the Honor 10, but came out merely one month earlier. Both phones pack the sufficiently meaty Hisilicon Kirin 970 CPU, paired with a respectable 4GB of RAM. 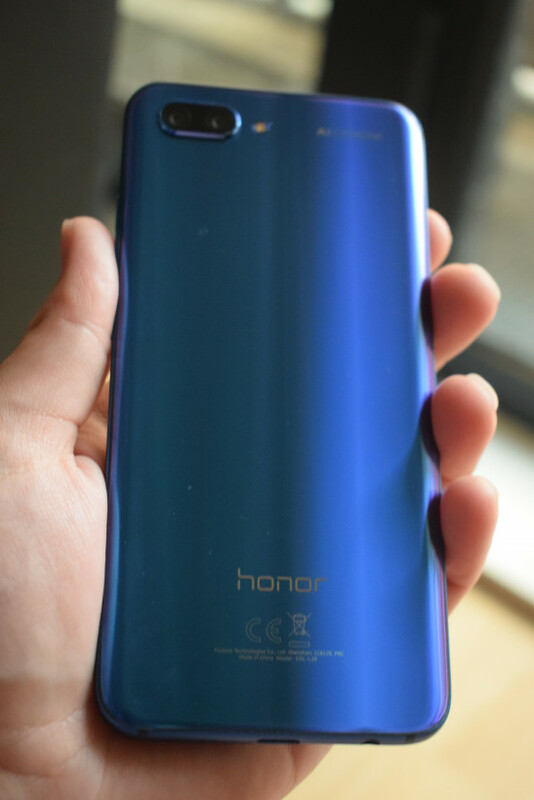 The Honor 10 was also among the first phones in Honor’s stable to get Huawei’s Turbo GPU software. Turbo GPU was developed in-house by Huawei over the course of five years, and once installed, boosts the gaming credentials of the Honor 10 even further. Turbo GPU addresses the two biggest bugbears of mobile gaming: speed and battery life. With it installed, users can expect to eke out bit more gameplay time, while enjoying faster, more consistent frame-rates. With this software enabled (available via an OTA update), users can expect frame-rates that are higher and less prone to jittering while playing demanding titles like PUBG Mobile and Asphalt 9. I’ve used Honor phones on and off for the past few years. When I was a skint university student, for example, the bargain-basement Honor 3C was one of the few half-decent phones in my price range. About a year later, I upgraded to the (slightly more expensive but still fairly cheap) Honor 5x. While Honor’s phones have always represented decent value for money, a huge frustration of mine was the lackadaisical way Honor used to dole out software updates — if they actually bothered at all. Several years later, I’m glad to see Honor’s changed its tune somewhat. Turbo GPU, for example, came as an OTA (over the air) update. The Honor 10 will also get Android Pie when it comes out next year, and those willing to jump on the bleeding edge can apply to beta test it. There’s nothing worse than languishing on an old Android version. Not only does it mean you miss out on new features and improvements, you’re also exposed to all sorts of security nasties. 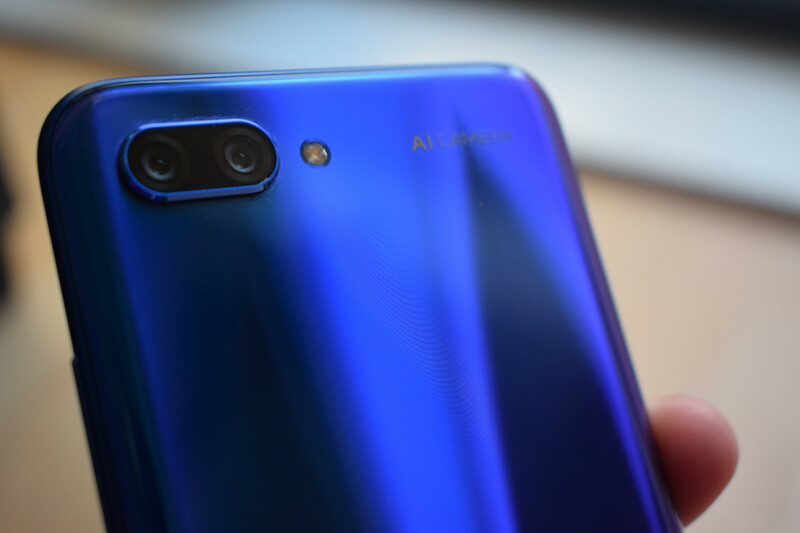 When Honor introduced the Honor 10 in May, it was eager to tout the AI capabilities of the camera, which it inherited from its older cousins, the P20 and the P20 Pro. I say inherited, because Honor has distinguished the camera software from that running on the P20 family, and made it digestible by a more mass-market audience. Put simply, it’s far less complicated. It does much of the the same stuff. The Honor 10 looks at a vista or subject, and adjusts the camera’s exposure, focus, and color balance in order to ensure it produces the best possible shot. It automatically can discern what you’re looking at, be that a plate of food, a dog, or a lush green field. In short, if you’re bad at photography, the Honor 10 will do its best to help you out. Where it differs from Huawei’s high-end devices is that the Honor 10 does so with far fewer bells and whistles. The camera software on the P20 Pro is rightfully complicated. Given its three lens setup and its massive (by smartphone standards) pixel sensor, it holds an appeal to professional photographers who instinctively demand greater control. Although the rear-facing camera on the Honor 10 is undeniably solid, it’s nowhere close to the capabilities of the P20 Pro. It’s also a lot cheaper, and is aimed at a more mass-market audience. It therefore makes sense for Honor to strip things down a bit. The good news is that quality isn’t sacrificed. The Honor 10 primarily excels in daytime shooting. Expect lush, well-balanced colors, and solid bokeh effects. My biggest whinge is that nighttime performance is nothing to sing about. Shots taken under the canopy of night feel muddy and dull. I really like the Honor 10. If I didn’t, this would be a hugely different piece in tone and content. That said, I don’t think it’s perfect. There’s one bit of the phone that’s so frustrating, it deserves its own section. Yes, I’m talking about the fingerprint reader. The Honor 10 is one of the few handsets on the market that have opted to put the fingerprint reader beneath the screen. This is a mixed bag. On one hand, this move has allowed Honor to achieve a relatively high screen-to-body ratio. That’s important, especially if you plan to use the Honor 10 for binge-watching Netflix and playing PUBG Mobile. But the trade-off is that the fingerprint reader is vastly less responsive than you’d hope. The Honor 10 often struggles to read fingerprints, forcing you to try again. It’s slower, too. There’s a noticeable lag between placing your thumb on the screen, and the phone unlocking. 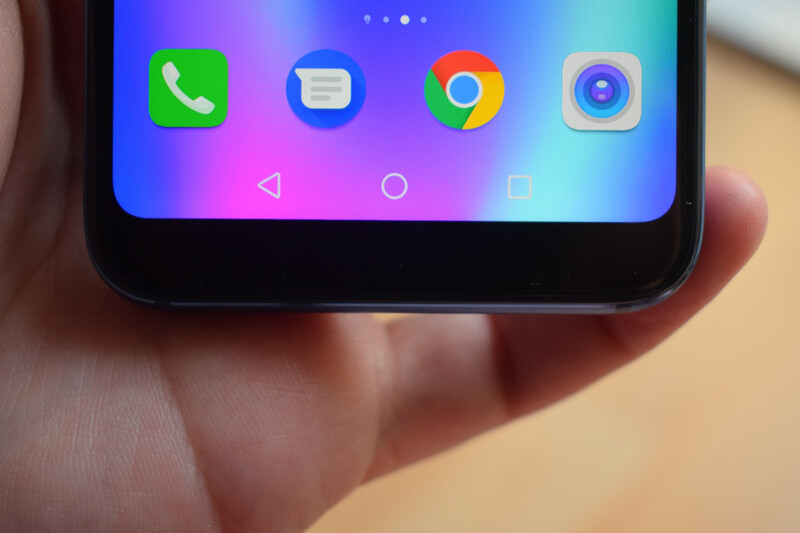 Under-screen fingerprint readers just aren’t that good. That’s why hardly any phone manufacturers have shipped devices with them. That’s why Huawei, when it launched the Porsche Design Mate RS, chose to include both an under-screen and traditional fingerprint reader. And I get why Honor included an under-screen fingerprint reader in the Honor 10. The mid-range phone market is hugely competitive, and it’s unbelievably hard for device manufacturers to distinguish their offerings from their rivals. I just wish that Honor tried something else. Who is the Honor 10 for? The Honor 10 is a mid-range phone and is priced accordingly. You can get the 128GB version on Amazon SIM-free for $455.00 (in the UK, it goes for just £369.96 at the time of writing). That said, if your budget stretches northwards, I’d strongly encourage you to consider the entry-level P20, especially if you’re planning on doing some heavy photography. That said, if your main concern is gaming performance, the two phones are decidedly similar, and you might as well opt for the cheaper version. But I don’t want to paint a picture of the Honor 10 as being a poor man’s P20. That’s not the case. It does a lot of things well, and offers sufficient value for money that it can stand on its own merits. The Honor 10 stands head-and-shoulders above in a field that includes a number of strong contenders — from the OnePlus 6, to the Samsung Galaxy A8. That’s no small feat, especially when you consider how active the mid-range segment of the phone market has been in 2018. While I’m not sure how long it’ll be able to hang on to its crown, at the time being, the Honor 10 is the best mid-ranger money can buy. If you’re looking for a new handset but don’t have a flagship budget, I’d strongly encourage you to give it a look.